Picklese...You Have To Try This!!! Picklese are super easy to make and pair perfectly with BBQ. Wow, this keeps popping up year after year! Proof positive it's a winner. 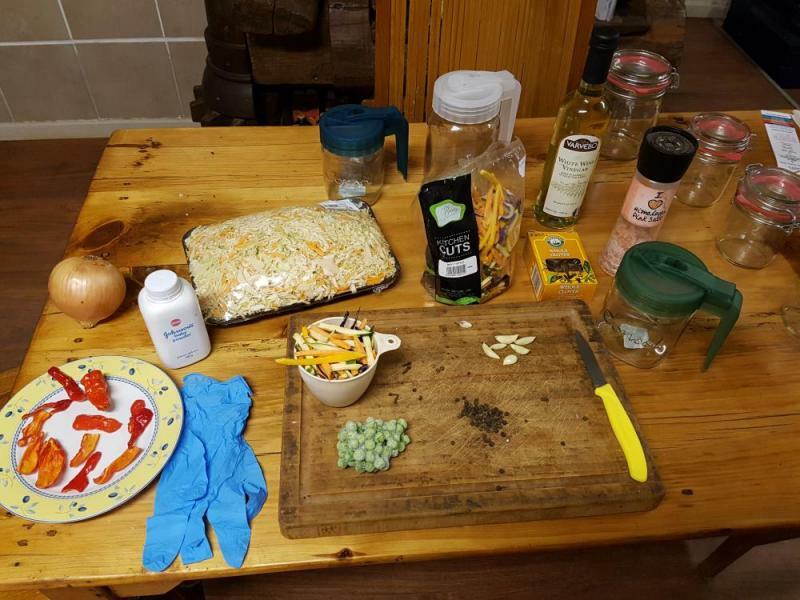 Most of us including the OP (FD4) have decided that the peas kind of get lost in there leaving them out doesn't really detract at all from the recipe. I appreciate the tip. I'm not a big fan of peas, so I will plan on leaving those out. Yeah, you won't miss them. They don't add anything to it and their shape sort of seperates them from the other stuff too. I hope you like it! Enjoy your fresh snow peas on a salad or just as a snack. I grow them just so i have something to snack on while out in the garden. They are delicious all by themselves. Made two jars tonight but had to use habanero. Dadgummit I hate it when that happens! 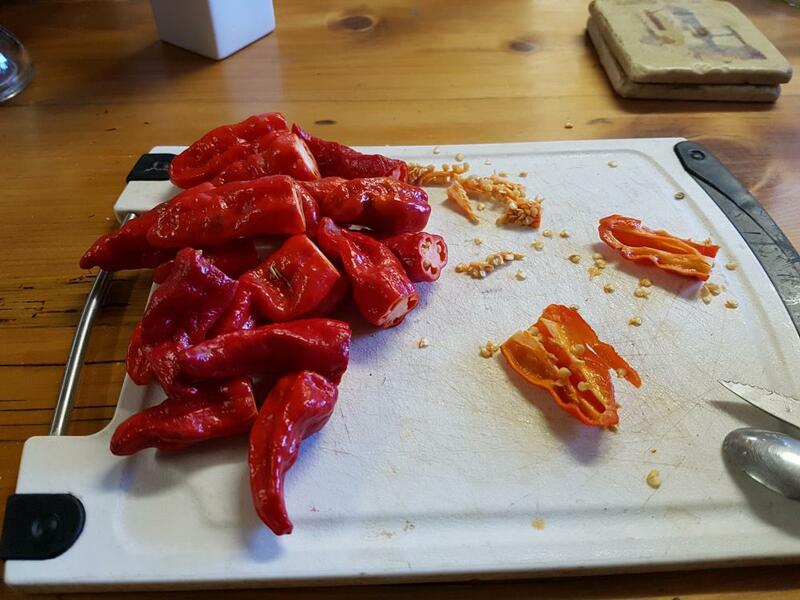 Habs, bhuts, T-scorps, chiltepins,....use what you got! That looks very interesting, though I note how it evolved over the first 12 pages! July 21, 1969 - Armstrong walks on the moon for the first time! July 24, 2005 - Armstrong wins Le Tour de France for the seventh straight time! July 29, 2009 - huntsman's chilli seeds sprout for the first time! Also, a tip for anyone making this for the first time - I made more of the mixed ingredients than I needed. I made a hot slaw out of the leftover mix and it tastes great. I just dumped the blend of cabbage, onion, peas, habs, carrots into the food processor and give it a quick chop, then added mustard powder, dijon, paprika, mayo, a bit of lime juice, dash of apple cider vinegar, salt and pepper. It's great! Nice tip...I was wondering about the 'extras'..! A little late to the party, but glad to be here. Did you really mean "cloves" or did you mean to say cloves of garlic? Jeez- glad you asked... I'd already bought the cloves! "Note: Add enough vinegar to cover the ingredients in the storage container. Allow to marinate for about 5 days before use. I was out of cloves, but it’s a traditional ingredient used in making this lovely pickle, so I would recommend using." 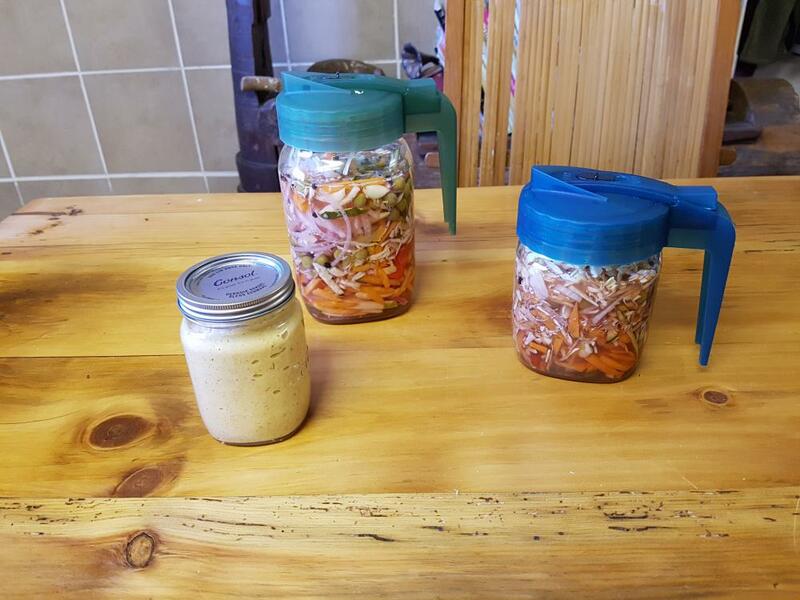 I did manage to get some cool pouring jars which will make life easier I reckon, and I went with cloves of garlic as well as cloves of...well cloves! I cannot find fresh Scotch Bonnets in South Africa - might have to import seeds which will be fun! - so I used 2 x Dorset Nagas...we'll see after a few days. 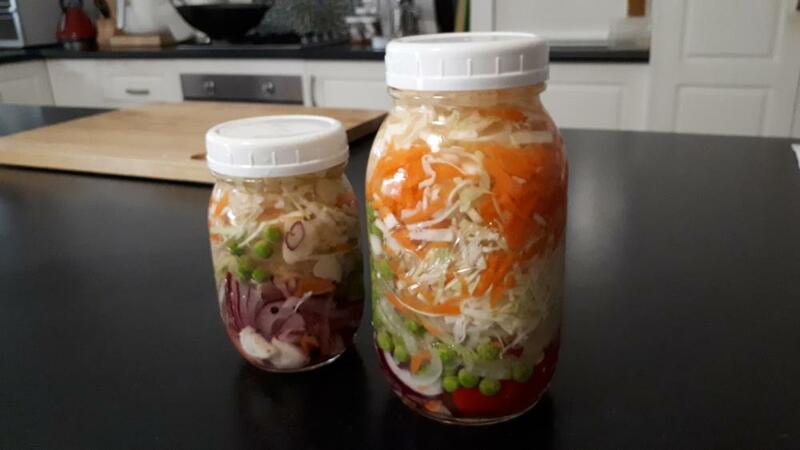 Oh, the small jar in the last pic is the 'leftovers' jar, ala rooze, with blended cabbage, carrots, cayenne peppers, lime juice, hot English mustard powder, mild senf (German mustard), red wine vinegar, mayo, salt and pepper. Tried some on hot toast and it's a winner! Man, I'm glad to be back!! you had me worried with that picture of all those Nagas! How can anyone read this thread and not want to make some for them self? The big jar is with orange and red habaneros.